Hines Mansion Bed and Breakfast is located in beautiful Provo, Utah, a scenic Utah Valley destination. We are a historic downtown luxury bed and breakfast with 9 luxurious guest rooms and a Victorian parlor featuring a marble fireplace. Many of our rooms are reminiscent of Victorian elegance. Come enjoy a bygone era of Victorian class and elegance in Provo’s historic Hines Mansion Bed and Breakfast. Featuring nine unique and distinctive suites, guests may enjoy a private bathroom, a two person jetted tub, comfortable robes, cable TV, high-speed wireless service, and a delicious hot gourmet breakfast every morning at this luxury bed and breakfast. Seasonal specials and extras are available to guests upon request. The Hines Mansion Bed and Breakfast stands out among hotels in Provo, UT as an inviting atmosphere offering luxurious amenities. Stay at the Hines Mansion Bed and Breakfast for your honeymoon, anniversary, weekend getaway or adult family retreat. Unlike traditional hotels in Provo, UT, Hines Mansion Bed and Breakfast is perfect for a couples retreat, featuring amenities and specials to meet all your lodging needs. We offer the perfect place to stay for BYU Education Week, BYU Women’s Conference and other special events. Hines Mansion Bed and Breakfast sits near Utah Lake and is only a short drive from the Provo Airport. Guests will find many things to do around Provo, UT, including fishing on Utah Lake, horseback riding, hiking, and snowmobiling and dog sled rides in the winter. We are Provo’s only luxury bed and breakfast. Read comments people have submitted after staying with us. Contact us for more information about booking your luxury suite at our hotel in Provo, Utah. 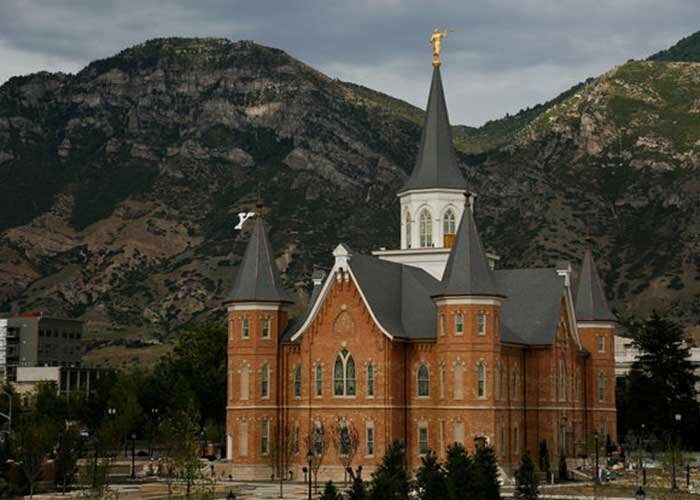 The new Provo City Center Temple is just a short walk from the Hines Mansion. Stay with us, and you will enjoy free parking and be within walking distance. 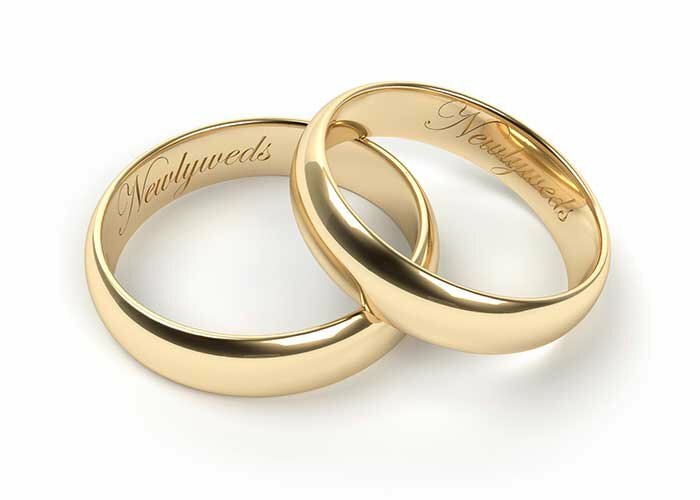 Spend your wedding night or anniversary at Provo's most romantic inn. Create memories that will last a lifetime. 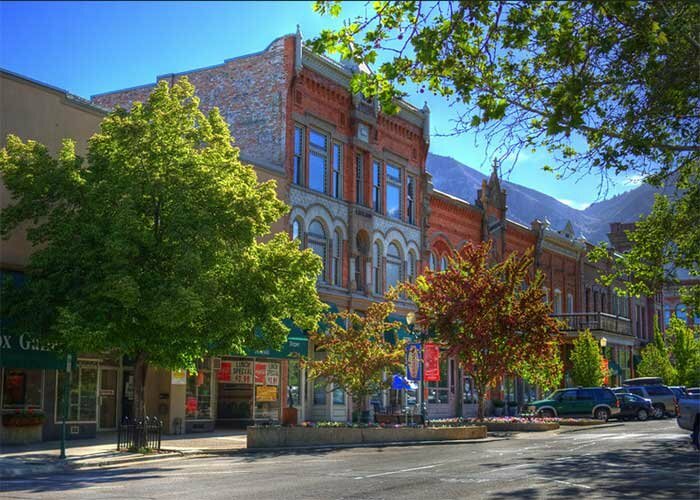 Come explore historic downtown Provo. The Hines Mansion is in close proximity to a wide selection of reataurants, theaters, antique shops, parks, and shopping of all kinds.